If you desire to feel the immediate rush of ocean, then this is the spot...positioned perfectly to afford excellent privacy, without hampering any views from all of the major rooms. 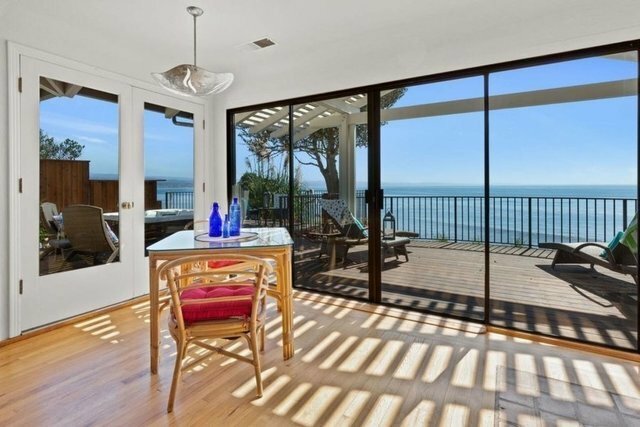 Located in one of Santa Cruz Countys most sought after locations, this property offers a full spectrum of distant and close up views of a prime long board surfing spot and miles of coastline to Capitola and beyond. This is Coastal Living at its best, you wont want to ever leave There is an easy walk to the shops at Pleasure Point, or head down to many popular beaches and surfing spots. The quaint, charming, and nearby Capitola Village also beckons, w its multiple offerings of restaurants, music, events and shops. The home is spacious with its 3 bedrooms and 2 baths. Two bedrooms are on the main floor You and your guests can enjoy the homes open floor plan and views wherever you sit Its casual living is perfect for anyone looking to throw off their shoes and be on vacation the minute one arrives.